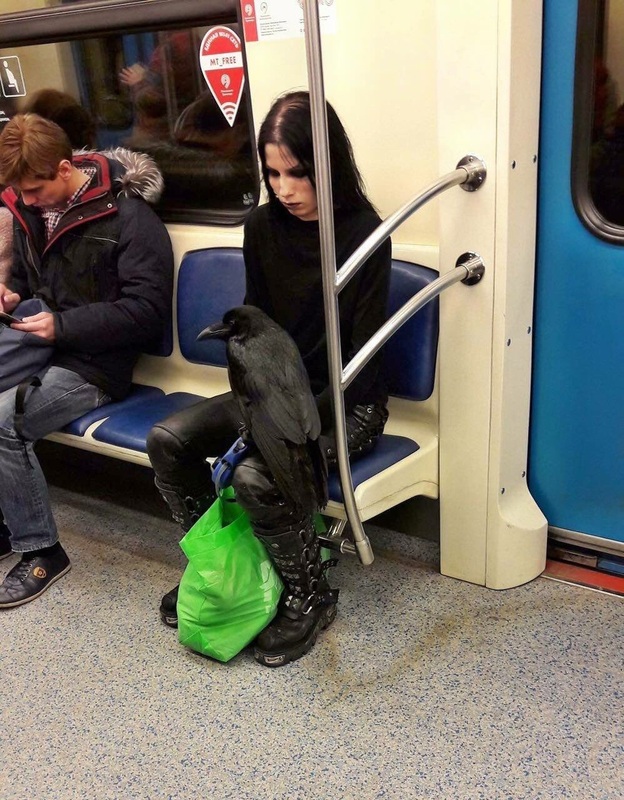 Sober in a Nightclub: Life's hard when you and your raven have to take the subway. Life's hard when you and your raven have to take the subway. Edgar would be so proud. I got it... I got it... I ain't got it.